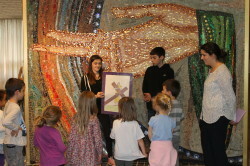 Mercy Montessori students attend a monthly Catholic Mass or service. These celebrations are planned by the children, each class or circle is responsible for at least one service per year. Religious Education classes are provided weekly for students in grades K-8. The sacraments of First Communion and Reconciliation are prepared for and celebrated through the Mercy Montessori religious education program. 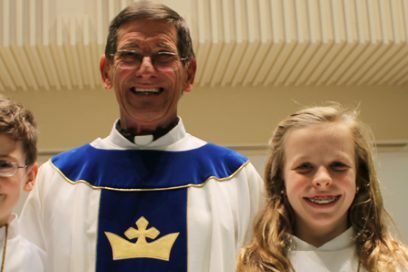 The sacrament of Confirmation is celebrated with St. Ursula Villa as a partner school every other year.